Description: Click at the top to see my other items. My LayAway terms are very liberal. Tell me what you can do for payments. 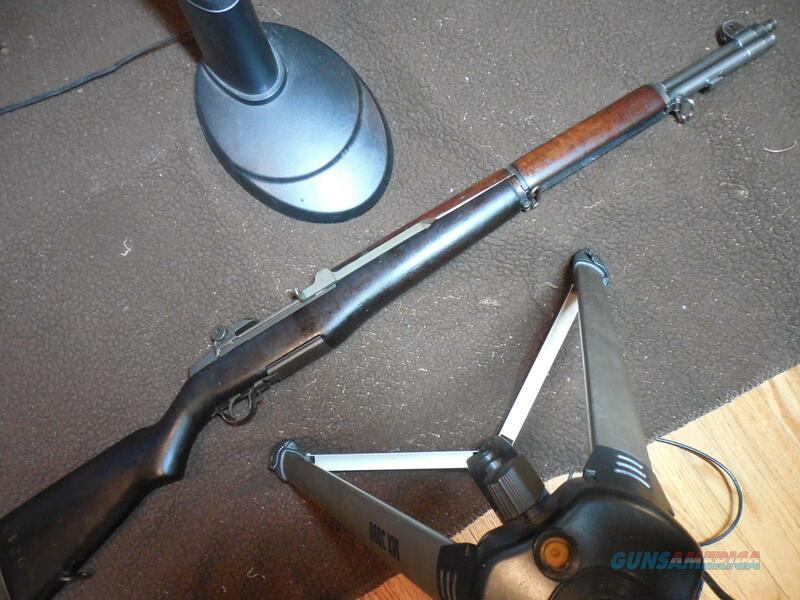 US M1 Rifle by Springfield Armory, in Springfield, Mass. text 386 and 747 then 4515. Was in service with US troops. My range test produced inside 4" groups at 100 yards. WWII dark walnut stocks. Low readings on muzzle wear #2 and throat wear # 1+ with mirror bright bore. The numbers of M1 Rifles now being offered for sale are finite and will soon be gone into collections. Ask sashe at cfl. rr. com. Get yours now! I hold and FFL and have many sales here and elsewhere, so buy with confidence, as I want you to get the rifle that you want. I have many more M1 Rifles to offer, so tell me what you want in terms of when it is dated (WWII or post War) and how well it shoots. More photos and details upon request. Ask all questions and I will answer promptly.